I am a Trafton descendant through my third great grandmother Eliza Trafton (b. 1820). Eliza was born free which is evident through her presence in the 1850 Federal Census (as the wife of Henry Newsom); however, little is known about her early life. In an effort to learn about Eliza’s lineage, I have begun to research the Trafton family of Camden County, NC. This article is an introduction to the patriarch, Charles Gardner Trafton, and some of his descendants. Charles Gardner Trafton was born in Dighton, MA on December 31, 1760 to Joseph Trafton and Ziporrah Talbot. As part of a long line of military men, he enlisted in Captain Peleg Peck’s Company (of Colonel George Williams’ Regiment) on September 29, 1777. After the Revolutionary War he became a mariner and entered the Port of Currituck1 several times in the late 1780s (twice on the ship “Nancy owned by Seth Talbot and twice on the ship “Salley” owned by Joseph Jones on the first entry and Benjamin Jones on the second entry). On December 7, 1790 Gardner Trafton was called a mariner of Camden County, NC while buying 21 acres of land from Timothy Cotter (who was also called a mariner of Camden County, NC) near River Bridge on the west side of the Pasquotank River in Pasquotank County, NC. The land was adjoining Joseph Richardson, David Cartwright, Jonathan Herring, and Labeus Richardson and the deed was witnessed by Abner Whitney and Nathaniel Paine. He later sold this tract of land on July 12, 1796 to John Hamilton. The area around River Bridge was originally called Joppa and was the shipping and trading center for those who lived in upper Camden County. As a mariner, this would have been a convenient community for Gardner Trafton and he had relationships with several other investors in the area—including Arthur and Hollowell Old who owned a warehouse at River Bridge. The name Joppa was eventually replaced with “Pasquotank River Bridge” and later “River Bridge” in the early 1800s. 1790 Federal Census for Joshua McPherson depicting neighboring families. On July 11, 1791 Gardner Trafton married Lovey McPherson. As a newcomer from Massachusetts, Gardner did not have close family connections in Pasquotank County, NC but his wife (believed to be the daughter of Joshua McPherson and Courtney Hixon) was part of an established family in the area. Gardner Trafton and his wife lived in Pasquotank County, NC through the births of all of their children2 (Courtney (b. 1793), Joseph Talbot (b. 1796), John Wesley (b. 1799), and Benjamin (b. 1799)). The name “John Wesley” may have been in honor of John Wesley, a religious leader of the time and the founder of Methodism. The McBrides, Gamblings, McPhersons and Cartwrights were all named in the 1792 lease from Jeremiah Sexton to build a house of worship (McBride Church) for joint use between local Methodists and Episcopals. A few years after the birth of their last child, Lovey Trafton died on April 9, 1802. Important details about Gardner Trafton’s life can be extracted from the deeds he entered throughout his life in Camden County, NC. After analyzing the full collection of Garden Trafton deeds, it was clear that he owned property in a few different communities. In order to understand the stages of his life and his activity in each community, I divided information by census year. Daughter Courtney, who would have been 17 at the time, may have already been married and out of the household. Gardner Trafton’s neighbors in this census year were O. McPherson, W. Etheridge, G. Granger, J. Gallop, E. Burnham, and L. Berry. Based on the composition of his household, it appears that Gardner Trafton was married to his second wife (Mary?) by this time (after the death of his first wife in 1802). By reviewing Gardner Trafton’s land purchases and sales, it is evident that only two purchases (both made in 1808) remained by the 1810 Federal Census—the 250 acres of swamp land near the head of Joy’s Creek (Deed Book M, Page 35) and the 94 acres known as “Sawyer Lands” adjoining the road to the Shipyard (Deed Book M, Page 134). All of his land at River Bridge was sold. Trafton Road map depicting the proximity of Bell Farm Drive and Shipyard Road. End of Shipyard Road (Duckweed Growing on the Pasquotank River). Shipyard Road connects to Trafton Road. 4 slaves (1 male under 14 (Bob? ), 1 male 14-25, 1 female under 14, and 1 female 26-44). Gardner Trafton’s neighbors in this census year were Jabez Sawyer, Isaac Sawyer, Joseph Sawyer, Willis Etheridge, Harvey Burnham, Joshua Gallop, William Forbes, and Miles Gregory. 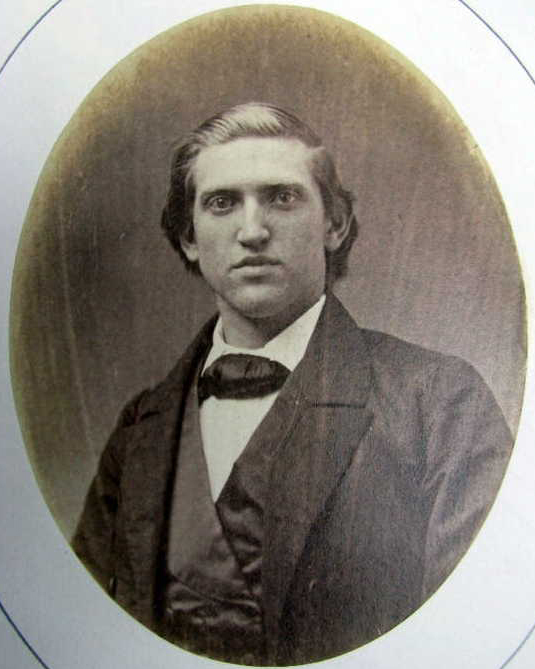 Gardner’s oldest son Joseph (24 years old at the time) had moved out of the household to Norfolk County, VA and was married to Elizabeth Miars. Benjamin (21 years old at the time) was recorded in his own household in Camden County, NC and was married to Nancy Upton. By process of elimination, the young male in his household must have been John (also 21 years old at the time). 1830 Federal Census Map (W.W. Forehand). Gardner Trafton and John Trafton were not recorded but Benjamin Trafton was recorded at Shipyard. Gardner Trafton’s second wife (?) Mary died on February 27, 1822. On January 20, 1824, Benjamin Trafton made his first independent land purchase from David M. Sargent. The deed was for a 23-tract of land near Creek Bridge adjoining Nancy Hastings, James Williams, Sawyer’s Creek swamp, and Cason Hutchings (Deed Book S, Page 88). Between 1826 and 1829, Benjamin Trafton sold 3 tracts of land located in Gumberry (just south of Shipyard) that his wife Nancy Upton inherited from her father (John Upton’s land division, Deed Book O, Pages 327-328, Deed Book S, Pages 337-338, Deed Book T, Page 236, Deed Book T, Page 395). Gardner Trafton’s neighbors in this census year were Thomas Linton, David Hall, William Sawyer, John Trafton, Jabez Sawyer, and Isaac Sawyer. All three of his sons were alive and living in their own households at this time. Joseph remained in Norfolk County, VA with his wife and family. There were several people recorded as part of Benjamin’s household (both adults and children) that did not appear to be part of his family. 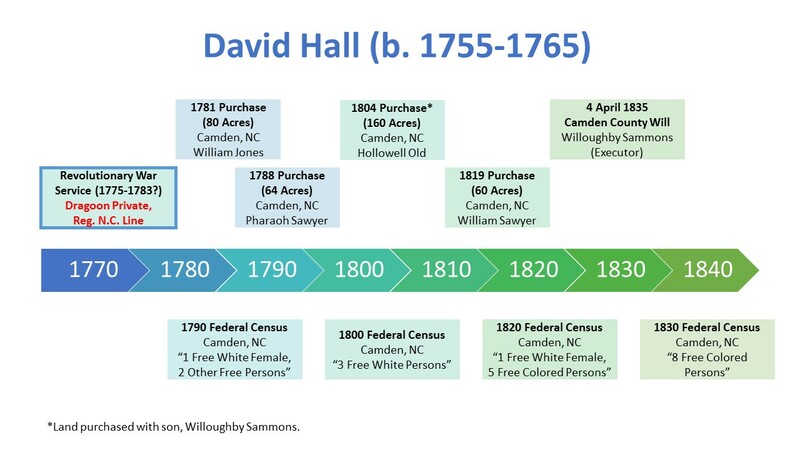 His neighbors in this census year were James O’Daniel, John O’Daniel, William Hastings, Ammon Sawyer, Cason Hutchings, Cornelius Sawyer, Sr., James Granger, and Miles Sawyer. John was never recorded in a deed prior to his father’s death so he may have never bought land independently. His neighbors in this census year were David Hall, William Sawyer, Gardner Trafton, Jabez Sawyer, Isaac Sawyer, and Elizabeth Sawyer. This was the last year that Gardner Trafton was recorded in the federal census. 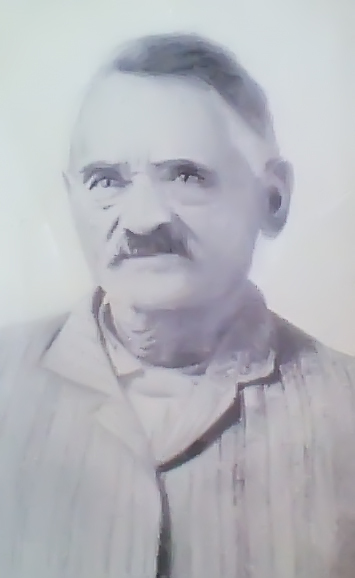 He left an August 1831 will and died on September 2, 1831 in Camden County, NC. His will was not proved until December 1848 meaning that the distribution of his estate was not resolved for 17 years. An analysis of his will (and supplemental information not included in the will) provides additional insight into his life. Gardner Trafton left his slaves Tony and Rachel each to have the choice of living with either of his three sons Joseph, John, or Benjamin and he left the remainder of his estate to be divided between his sons. Gardner Trafton’s 1831 Land Division depicts his residence (on high land) and adjoining swamp land and how it was divided between his two sons Joseph Talbot Trafton and John Wesley Trafton. (Deed Book U, Pages 150-151) Joseph received Lot No. 1 which included 77.5 acres of the Trafton residence and 20.66 acres of swamp land. John received Lot No. 2 which included 155 acres of the Trafton residence and 40.66 acres of swamp land. Gardner Trafton was buried where he lived on Trafton Road in Camden County, NC. His residence off of North Carolina Highway 343 was left to his sons Joseph Talbot and John Wesley while his land around Shipyard was left to Benjamin. Biographies of many of Gardner Trafton’s contemporaries were included in Jesse Pugh’s “Three hundred years along the Pasquotank” but Gardner’s name was only mentioned once. As I discover new information, I will continue to share more details about the Traftons of Bristol County, MA who became a Camden County, NC family. The lives of Gardner Trafton’s wives are poorly documented and may reveal hidden relationships with further research. Gardner Trafton was a documented neighbor of David Hall (b. 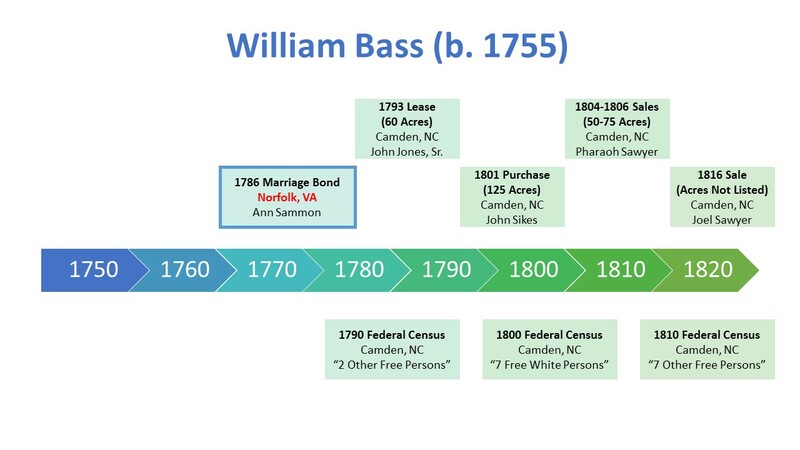 1755) and may have been a neighbor of William Bass (b. 1755). Gardner Trafton had a free person of color in his household in the 1820 Federal Census. Benjamin Trafton had a free person of color (and adults and children outside of his own famly) in his household in the 1830 Federal Census. The Traftons had close connections to the Pritchards. Gardner owned land adjoining Joseph Pritchard (the father of David L. Pritchard) and Abner Lamb (the father-in-law of David L. Pritchard). The Traftons had close connections to the Sanderlins. Gardner owned land adjoining William W. Sanderlin (where Henry Newsom and Joel Newsom were living and working in 1850). 2Gardern Traftons marriages and the births of his children were all recorded in the Trafton Bible. Amazing work. Great story providing insight into historic Camden county. Being from Camden it’s great to read of the past.